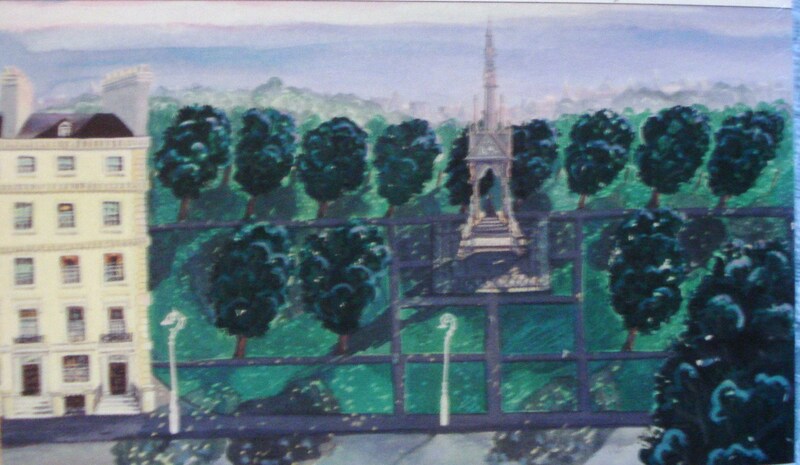 which is by Leo Duff. The May of Teck Club exists for the Pecuniary Convenience and Social Protection of Ladies of Slender Means below the age of Thirty Years , who are obliged to reside apart from their Families in order to follow an Occupation in London. So the scene is set for Muriel Spark’s The Girls of Slender Means, in a world where ‘all the nice people were poor, and few were nicer, as nice people come, than these girls at Kensington’. Debutantes and vicars’ daughters rub shoulders in their shared lives – and lust after a glamorous Schiaparelli dress, loaned out by its lucky owner in return for hard-to-come-by luxuries, like soap. Materially, it’s obvious the girls have slender means: they survive on small incomes, hoping to escape their genteel poverty through good marriages. But they have slender means in other ways, for they are spiritually ill equipped to cope with the world and what it has to offer. There are snapshot portraits of the girls. Beautiful Selina is sleeping with two men, has a string of other followers, and has her heart set on a wealthy marriage. Joanna, a rector’s daughter, gives elocution lessons and has sublimated her desire for handsome young curates in her passion for poetry – the many literary quotes are one of the great joys of this book. Fat Jane (Spark’s description, not mine) works for a down-at-heel publisher and is considered brainy. Actually, I’ve always felt a degree of kinship with Jane, possibly because, like me, she is on the plump side, so she can never wear the coveted Schiaparelli dress. And she asserts that her work is essentially mental and therefore her brain needs to be fed more than most people’s – which is the best excuse for not dieting I’ve ever come across. Anyway, back to the book. The cast of characters also includes Nicholas, one of the intellectual young men Jane meets through her work, who is intrigued by Joanna, but spends the summer sleeping with Selina. Things fall apart – literally – when an undiscovered bomb explodes in the garden of the club, and a group of the girls are trapped on the top floor, not slender enough to squeeze their way out on to the roof through a slit window in the washroom. According to Spark the maximum size of hips which can be accommodated by the gap is thirty-six and a quarter inches, a measurement which I always feel is satisfyingly precise, even if it is unobtainable. Having escaped, Selina, who is very slender indeed (in body, spirit and pocket) returns to collect the Schiaparelli dress, which does not belong to her, while Joanna calms the terrified girls as she recites the evening psalter of Day 27 of the Anglican order, and continues to do so as the building collapses around her. The story is told in flashbacks, largely through the eyes of Jane, who is now working as a columnist, and we learn that following the tragedy Nicholas was converted, became a Brother and a missionary, and has been martyred in Haiti. The reasons for his conversion are never clear, and may have their seeds in a period well before the disaster. Rarly on the novel Rudi, one of Jane’s less reputable literary friends, predicts that Nicholas will finish up as a reactionary Catholic, and also reveals that Nicholas has already flirted with Jesuit philosophy. Nicholas remembers crossing himself, involuntarily, when Selina reappears with the dress, and there is a suggestion that the gesture is in superstitious relief that she is safe. There’s also a theory that Joanna’s example sparked the conversion – but Jane could be closest to the truth when she recollects that a note in Nicholas’ manuscript says ‘a vision of evil may be as effective to conversion as a vision of good’. 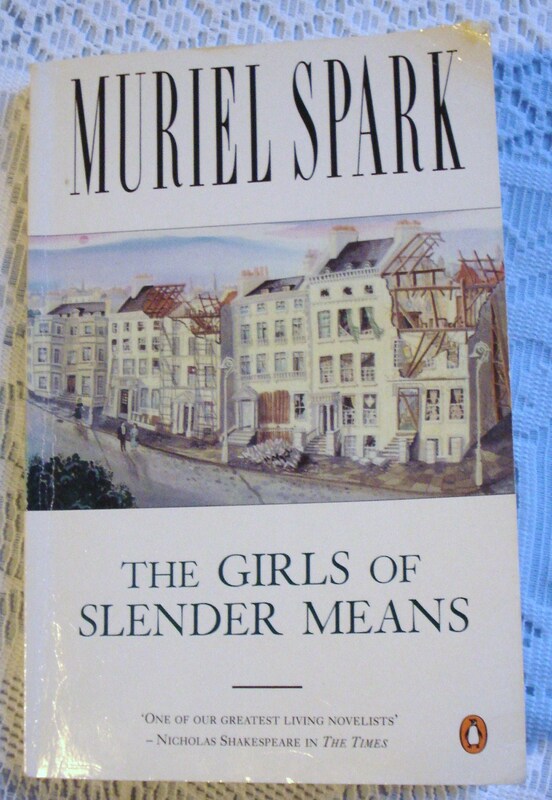 Muriel Spark was a Catholic convert, and beneath the dark wit and humour many of her novels deal with religion, and the nature of good and evil, and The Girls of Slender Means is no exception. 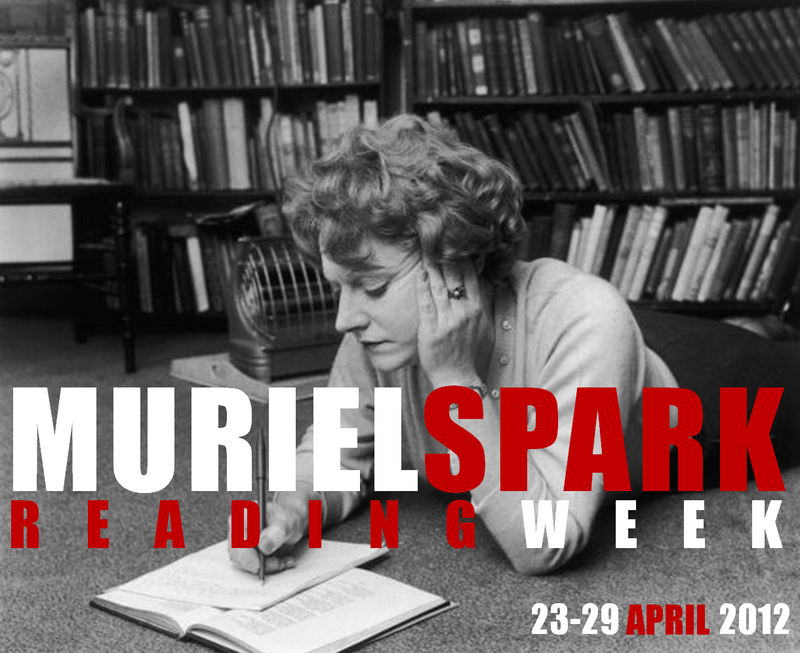 If you want to know more about Muriel Spark and her work, Simon at Stuck in a Book (http://stuck-in-a-book.blogspot.co.uk) and Harriet at Harriet Devine’s Blog (http://harrietdevine.typepad.com) are hosting a Muriel Spark Reading Week.